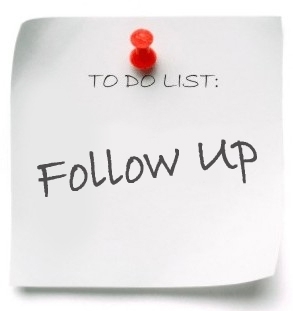 I get asked about follow-up a lot. To be honest, this is an area that is constantly changing. We are always trying new things. What works we keep and we cut what doesn’t work. I think what you do on the front end is just as important as the follow-up, if not more. I would even go as far to say that the art of the follow up is thinking through experience of the first-timer. First level is invited by friends or parents being members. Believe it or not students who’s parents are new and join the church have a higher probability of being the most disengaged students in the ministry. This is because they come knowing no one. Their goal for every service becomes about leaving two minutes before service is over so they don’t look awkward walking out alone. The other group that comes with their friends are a little less awkward because they are with someone they know. Nevertheless, this is a level of connection for a student. Second level is the atmosphere which includes the people. Students can feel the love, care, kindness, and the freedom to be yourself type of atmosphere. They can also feel judgmental, cold, no real community type of atmosphere. This has more to do with the people staffed/volunteered during your youth group. I know getting volunteers can be tough and you can’t be too picky, but if this plays a factor in a student coming back or getting connected, it’s worth you asking for more intentionality from your staff/volunteers. Third level is the service. Making the service relevant to the needs of students is most important – key word being “needs”. Students are facing all kinds of crap these days. Students are dealing with things today that 50 years ago they would’ve dealt with in college. Our job is to bring the hope of Christ to every area of the student’s life. That may include us sharing with them things they need to hear, which may not be what they want to hear. Fourth level is the opportunities students have within the ministry to get connected. It’s important that you think about how you can make it easy for students to get connected, regardless to whether they are Christian or not. I use to coach at a high school and the thing that amazed me the most was the fact that students would sign up just to be connected with others. They didn’t even know how to play, but saw it as an easy way to make friends and build relationships that could last for a long time. Create super easy steps and advertise them for students to get connected. Serving projects have been the easiest way to get students connected. Whether that’s them serving in a ministry or just at a serving event. Promoting team based atmospheres in those serving opportunities is key. Now, I’ve had students say they’ve wanted to be a part of the youth group because everyone is just so chill. Which means they feel like everyone is so real and comfortable with each other. They said nothing about the service but it was the atmosphere that brought them back. I tell you this because you need to know there is no perfect formula and there are definitely more levels than 4. What I hope you get from this is that whatever you do be intentional about it because it matters. I hope this post gets you thinking in this area of the ministry. What is most successful for us is using a response card…from that card students can let us know if they are new, given their life to Christ, want to get baptized, serve in a ministry, be contacted by a leader, etc… First-timers are greeted by leaders as they turn in their response card to receive a free ice cream coupon. We have very intentional conversations with them and they get a free ice cream coupon and so does the friend that brought them. We are constantly trying new things, because we believe it’s important that no one falls through the cracks. What are you doing concerning first-timers and follow up? ← 2012 In Review: yoacblog.com Top 10 most viewed Post!!! !